Everybody's favorite chicken restaurant has policies that harm LGBTQIA+ people. Fortunately, they don't have a monopoly on double breading and pickle juice. Recipe page & video created by John. When you listen to an album, how aware are you of what's coming through your conciousness? If you are what you eat, what does that mean about the music we listen to? 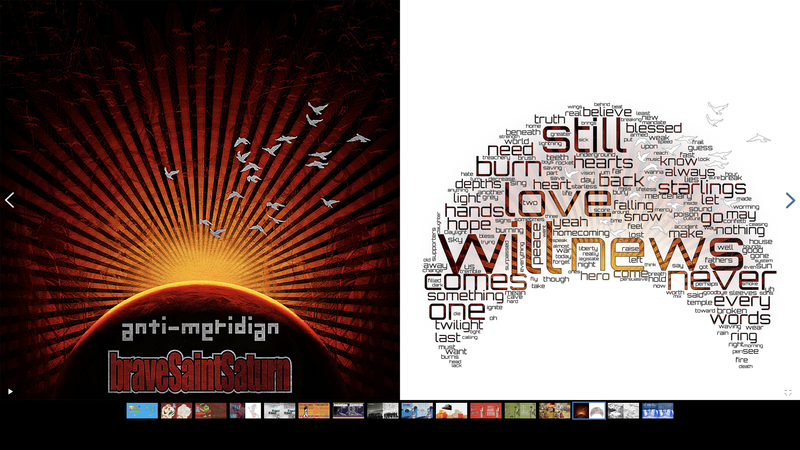 In this project, I generated word clouds from album lyrics using Andreas Mueller's Word Cloud for Python, then Photoshopped the output onto the albums' original covers. This is the tool I used to go vegan. The interface (created by Nick Poulden) is very 2013, but if you've got the time to calculate your own nutritional needs, this website can help you track them. I'm working on a better solution to this problem, but in the meantime, I'm using this to get by.